Why Did ‘Nylon’ Whitewash M.I.A. For Its Asian Readers? Hey! 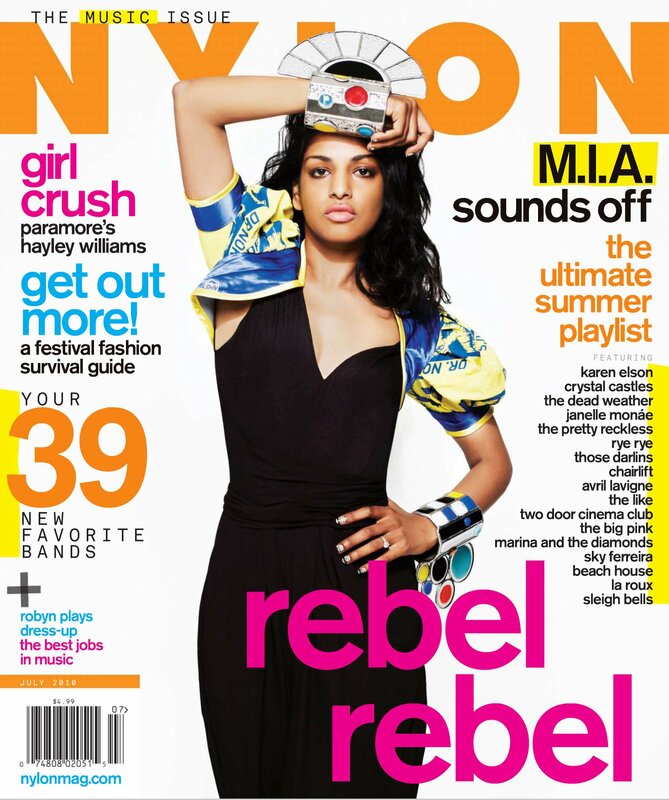 Did you happen to see M.I.A.’s new January 2014 Nylon cover? Maybe you haven’t — it was for the brand’s Singapore edition, after all — in which case you might be able to spot it somewhere in this post. Notice something off? Either Mathangi’s been dabbing on liberal globs of Fair & Lovely, or the creative team at Nylon has seen fit to lighten her features through the magic of Photoshop. Her actual complexion is darker — and it’s never needed any lightening, not when her music climbed the charts, not when she turned into an overnight icon at the Super Bowl, and not when she was nominated for an Oscar, two Grammys or the Mercury Prize. To whitewash M.I.A. for a largely South and Southeast Asian readership seems antithetical to the point of even having a Singaporean off-shoot of the Nylon brand. Nylon Singapore is published to reach an ethnic audience with much more exposure to desi complexions. In July 2010, M.I.A. appeared on the U.S. edition of Nylon, with a lot more of her brownness intact. In November 2010, she also appeared on the cover of the Mexican edition of Nylon, again with her brownness intact. So why did this time around, in a post-Nina Davuluri age, Nylon’s Singapore staffers feel the need to whitewash M.I.A.? Follow The Aerogram on Twitter at @theaerogram and on Facebook here. WTF is Nylon? Never heard of it, maybe a description, as in editorial board, country of origin, etc would help? I hate to call it this but it’s a “hipster” mag.